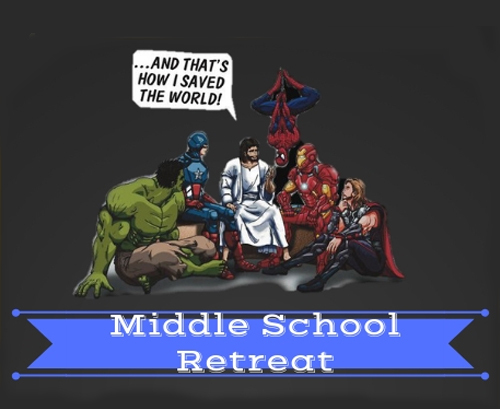 The Young Adult Ministry invites you to the first ever Middle School Retreat! We will end with the 5 p.m. Mass, parents please join us! $20 per student, includes Lunch. There are only 40 spots available! Sign up soon! Please wear your favorite superhero shirt! To register, please click, https://bit.ly/2QrIO5A, or contact Miss Natalie at 760-547-0702 or at youthministry@sanluisreyparish.org.